UPPER WEST SIDE — Book Culture, the independent bookstore under fire for dismissing five workers who tried to join a newly formed union, is opening on Columbus Avenue, local business leaders said. The Morningside Heights-based bookstore is taking over the 2,935-square-foot space formerly occupied by antiques-shop chain Olde Good Things at 450 Columbus Ave., which closed after failing to reach a new lease agreement, said Barbara Adler, executive director of the Columbus Avenue Business Improvement District. It's not clear whether the book shop is expanding into the space or moving from one of its two Morningside Heights locations. Book Culture co-owner Chris Doeblin was away on vacation and could not be reached, and co-owner Annie Hedrick did not respond to a request for comment. Walker Malloy & Company, the brokerage firm marketing the space, announced the address was rented for $35,000 a month but declined to comment on the new tenant. 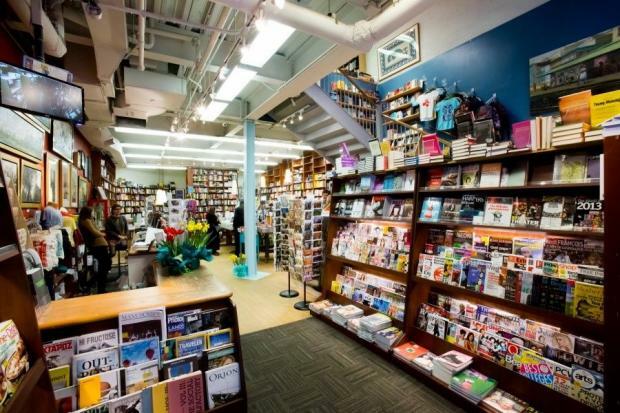 An employee at Olde Good Things' Madison Avenue store confirmed that a bookstore was headed for the Columbus Avenue space but could not confirm it was Book Culture. Book Culture employees picketed in front of the store's two locations to protest of the firings in early July. In a statement on the store's blog, the co-owners said they would support the union if it was recognized by the National Labor Relations Board. They explained that the supervisors "were not willing to continue to perform the role of supervisors within the new environment of having the unionized work force," and were let go.